At the Chavez-Rodriguez household, we’re in recovery mode. 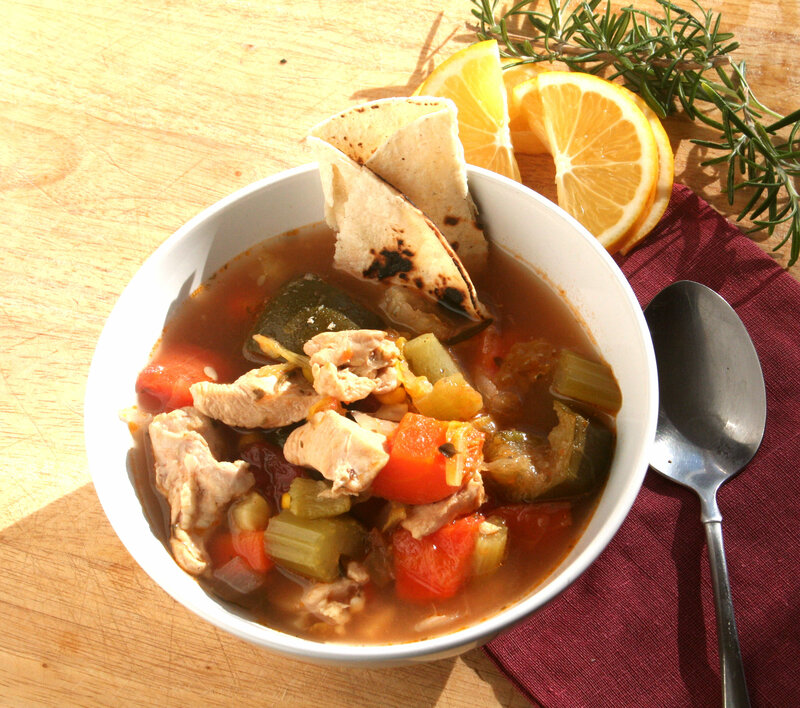 Thankfully, a hearty chicken soup with roasted vegetables came to the rescue! Sometimes all of the hullabaloo of Christmas wears a body down. Not to mention the increased interaction with people (and their germs) in stores, malls, and countless parties. It’s bound to happen. People get sick during the holidays. I think this happened to my better half, Art. He started off with a bang! I mean he went ALL OUT this Christmas, stringing lights in front of the house in places where we’ve never had them, creating over-sized gift packages as a display on the front lawn, decorating every corner and crevice of the house with his glitter and cheerful spirit. Our house was like the island of misfit toys where every ornament found a home. 2 tablespoons of Kosher salt (I think we all have different levels of salt tolerance, so my recommendation is to salt to taste. That being said, the soup is filled with so many layers of true vegetable and chicken flavoring you really don’t need or want to kill it with over salting). In a large stock pot, heat the water, chicken stock, and can of diced tomatoes on medium high heat. Add the pieces of chicken. Allow to come to a boil. Season the broth with salt and pepper and the chicken bouillon. Add the rosemary and thyme and let simmer for three hours. Serve with lemon wedges and a warm corn tortilla. Cut the vegetables uniformly in 1 to 1 1/4-inch cubes. All the vegetables will shrink while baking, so don’t cut them too small. 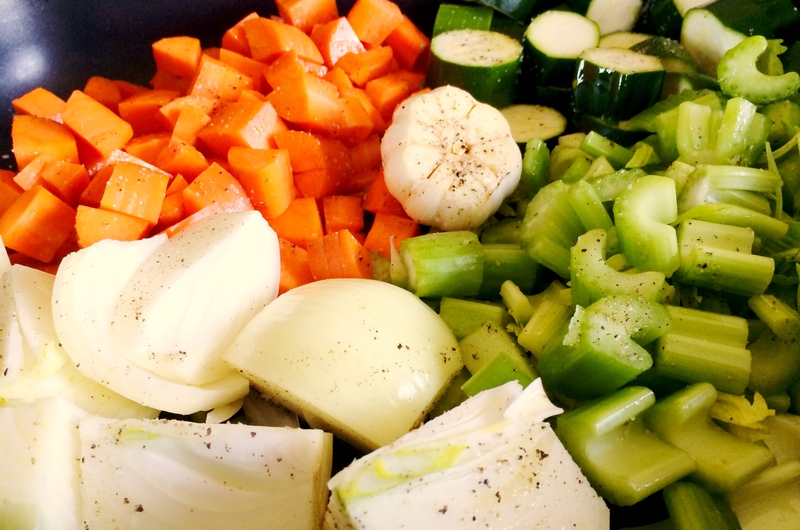 Place all the cut vegetables in a single layer on 2 sheet pans. Drizzle them with olive oil, salt, and pepper. Toss to coat well. Bake for 25 to 35 minutes, until all the vegetables are tender, turning once with a spatula. Remove garlic head and peel. Sprinkle with parsley, season to taste.